Our lively Pensioners Lunch Club is held every Wednesday at lunch time, bringing older people together to enjoy a hot nutritious meal and to socialise with friends at the same time. The Pensioners – some of whom are now in their 90s, arrive for activities such as keep fit, singing and also a hot meal, followed by a lively game of bingo. In 1994, after receiving a grant from Bradford council to helpfund activities and outreach work for the pensioners in the Ukrainian community in Bradford, the pensioners club was set up. Recently, the group, which numbers approximately 30, listened to a talk given by a Ukrainian speaking police officer, Maria Dobrynchuk, about the importance of staying safe in the home and being aware of sophisticated scams. A highlight of the year is the annual summer trip to ‘The Wetherby Whaler’. This is usually timed to celebrate Ukrainian Independence Day on August 24th. Another highlight is the annual Christmas party. Also, we welcome and support the children from the Chernobyl region of Ukraine whenever they make a summer visit. 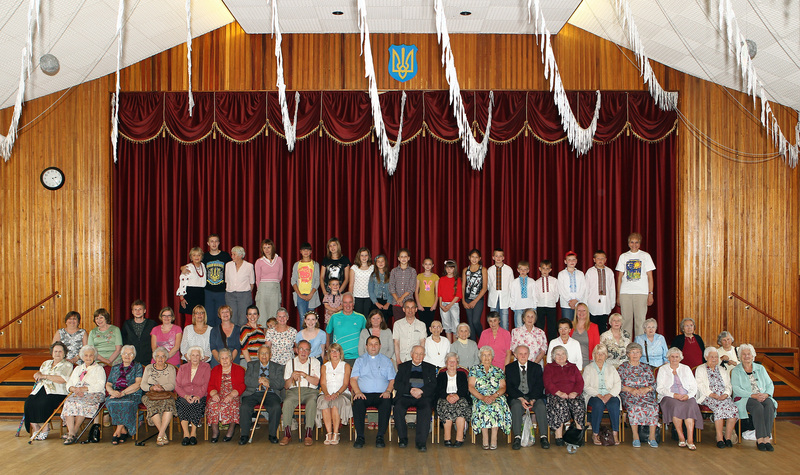 We welcome everyone of pensionable age who has links with the Ukrainian community in Bradford. Volunteering – There are plenty of volunteering opportunities available throughout the year. We are always greatful for volunteers to help serve food, chat to our elderly and offer the occasional lift. Support – Please contact us if you know of anyone who requires assistance or would benefit in joining our Pensioners Lunch Club . The current pension club manager, Nadia Murphy, also undertakes home visits as part of the outreach work/ befriending aspect of the club. Visit from the children of Chernoby. Annual fish and chips outing to the Wetherby Whaler which was book to coincide with celebrating Ukraine’s 28 years of independence. That is the reason many are wearing their вишиття in the photos.